Inventory makes up a substantial part of the capital locked up in a business. Keeping control of inventory is helped by physical stocktaking which is done by counting, weighing or by other means to check all items in stock. Stocktaking allows a business to check the accuracy of all stock records maintained in warehouses, goods in transit and stock maintained in other parts of the business. The value of the stock that has been physically confirmed is shown in balance sheets. This physical checking also helps to detect pilferage or wastage so that action can be taken to eliminate this. It also helps to establish any gaps in the procedures that are in place to supervise and control stock, so that both under-stocking and over-stocking are avoided. 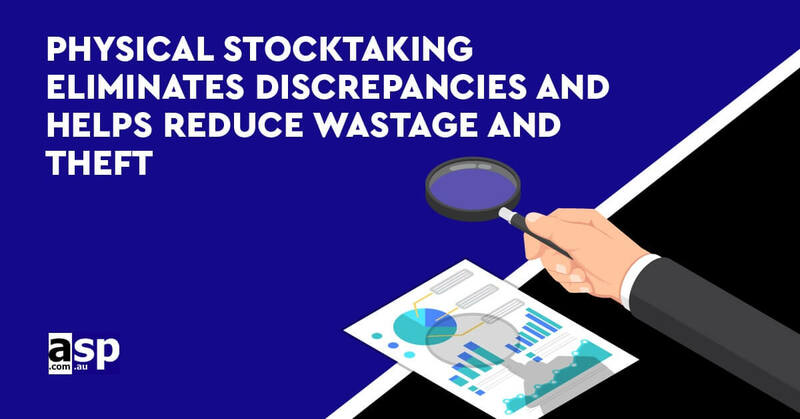 When the differences are established between records and actual physical stock, it indicates the degree of efficiency of storekeeping and control procedures. It is important that the control of the stocktaking operation is given to one person who will oversee all aspects of the procedures. It is important that warehouses and other depots are closed for normal operations during the stocktaking exercise. The system should not accept any stock or issue it while this procedure is in process. It is important that the warehouse where the stocktaking is being undertaken be neat and tidy, and all items are placed in their proper bins or pallets. It is important that every pallet and bin is numbered and clearly identified and listed. Every member of the operation is given a particular series of numbers on stocktaking sheets that he or she is expected to physically verify. There must be no duplicates and every member has to be responsible for the particular stock sheet they have taken the task for physical verification. Bins and pallets that are counted must be clearly marked, and this is made easy by using coloured markers or labels. A separate record must be made of any stock that is damaged. Once the physical verification is completed the stock sheet must be handed over to the supervisor. These stock sheets are then entered into the system and verified. It can help if stock, where the record and physical stock sheets do not match, are again independently verified by a separate audit team. It can also help if random stock sheets are picked up by the audit team for cross checks. It is important that before any stocktaking operation is undertaken the best time is allocated for it. This can be periods where traditionally there is a lower number of items moving through the system. All those who depend on the warehouse must be informed in advance so they can make sure they have sufficient stock on hand for day to day business so that the closing of the warehouse does not have any effect on business. Staff for stocktaking must be informed in advance and there must be adequate numbers for completing the work preferably on the same day. They must also be given proper orientation for the work expected to be carried out by them, and the procedures they will be required to follow. On completion of the stocktaking, it is important that a proper analysis is conducted of the entire exercise, the discrepancies noticed, damaged items, and any pattern noticed in stock inconsistencies. These must be properly studied and the results indicated to higher management. Stock records must then be updated, and their value must be reflected in account books. Most businesses do undertake such stocktaking exercises before the accounts are closed for the financial year. At these times, it is important that stocktaking exercises be undertaken in every branch or physical location where the stock is normally kept for routine business.